Can you believe we are almost into April??? We are a quarter of the way through 2019 already!. Have you guys been following along with March matness and trying out a few Pilates moves?. Instagram – @ Littlemisfitjojo . April is also Caesarean awareness month , as a Post Natal instructor , I’ll also be sharing some tips and stretches and exercises for new mams. Kids Yoga camp at Believe and Be. On Monday 15th April, I will be running one of my Yoga camps at Believe and Be for kids age 4-7. We start at 1130am, where they will enjoy 90 minutes play in Believe town, followed by a picnic lunch and then an afternoon of Yoga and crafts until 3.30pm. £18 per child including lunch. We currently have 3 spots left, so please get in touch if you would like to book one. Our Online programme is just £10 for the month and you will get access to a variety of classes via a private Facebook group that you can do at home at a time that works for you. New workouts are added weekly. Please get in touch if you would like more information or would like to sign up for April. Our next round of Post natal Pilates starts Friday 5th April for 6 weeks ( we do miss Good Friday -19th April, and finish Friday 17th May so we get the 6 sessions in. £35 for the 6 weeks. Sessions will be 1130am-1215pm at Taylored Fit Physio , Langley Park. This is a class for mam and baby and suitable from 6 weeks Post natal provided you have had your 6 week check from Midwife or Dr. This can be up to 12 weeks if you have had a C section. Our Next rounds of Small group training for April are full for both Pilates and Fat Burning. They are already filling up for May/June too so if you would like a space , please drop me a message. No classes Good Friday – 19th April or Easter Monday – 22nd April. However Easter Saturday – classes will be on as normal. Family yoga 1015am-11am @ Delves Village Hall – please note this class will run in April subject to numbers. April is also my last month in my 30’s!. In May I will be turning 40 eeeeeekkkkkk!. Wishing you all a fabulous April aand please do come say hi over on Instagram or Facebook . You can see what I get up to behind the scenes over on Instagram stories 😂. I’m loving getting out in the spring sunshine for walks 😄. Its the Night before, the night before Christmas eve!. so only 3 sleeps until Christmas!. Who else is excited???. December has flown over! 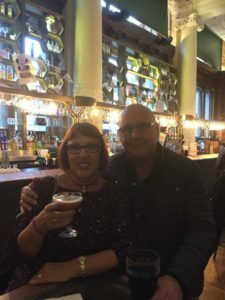 , along with teaching classes , I’ve been enjoying lots of Festive fun adventures. You can see what I’ve been up to over on Instagram – @littlemisfitjojo and over on our Facebook page – www.facebook.com/lilmisfit1. Both our Small Group programmes both Pilates and Fat burning ones for January sold out in November which was just incredible. We start Saturday 5th January for 6 weeks. However I am also looking at possibly also running a day time small group programme , if anyone is interested. £120 per person including two Weekly Group workout sessions, a nutrition plan and a private Facebook group to help you motivate and support each other . 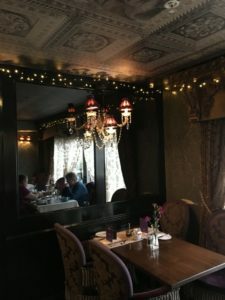 Our little Online community is continuing to grow which is fantastic. Our Online classes cost just £10 per month and access is via a private Facebook group. There are already a wide variety of classes in there – Pilates, HIIT and Strength and conditioning style. Plus two new workouts are added each week. if you would like to sign up for January , please drop me a message. passes are valid for a calender month only – ie 1st -31st January and are non transferable. introducing our new class for January – Body Sculpt! 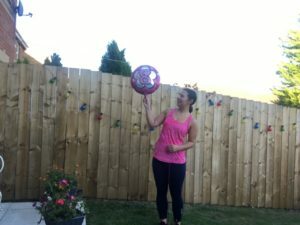 , this is a class that will incorporate Pilates/Barre/strength and conditioning /HIIT and boxing workouts , using body weight, along with our weights, gliders , resistance bands, the red bands , the green balls, – all the favourites haha. Do both evening classes for only £8. Post Natal Pilates , 11am-12noon @ Taylored Fit Physio , Langley Park, 6 week block, starting Friday 11th January. My 1-1 / private small group Pilates programme is proving very popular, which again is brilliant and as a result, I currently only have limited time slots available – if you would be interested in more information, please do drop us a message. Our After school yoga class is back from Monday 7th January for 6 weeks. This class is suitable for little ones age 4-7. £35 per child. We practice yoga poses, mindfulness activites and have story/relaxation time. if you would like to book your little yogi a place, just drop us a message. January we have not 1 but 2 Post Natal Pilates classes ! 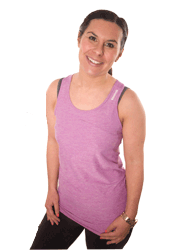 Friday 1130-1215pm @ Taylored Fit Physio, Langley Park. starting Friday 11th January for 6 weeks . £35 for the 6 week block. For more info or to make a booking , just drop us a message. 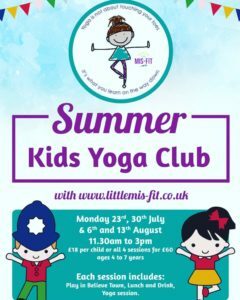 I am also looking at running a Yoga class for Tweens/teens so for those age 9 – 15 on a Tuesday afternoon 5.15pm-6pm @ Tesco , Consett. Please let me know if you would be interested. I think I’ve remembered everything! As always though you can keep an eye on my Facebook and Instagram pages . plus of course check back on our blog . I just want to wish all of you a very Merry and Magical Christmas. Thank you all so so much for all your support again this year, I appreciate it all so much more than I can ever express. Can you believe its almost December??. Its only 4 weeks until Christmas !!. From this Weekend, its lots of Festive adventures for me , so I’m super excited. If you follow me on Instagram @littlemisfitjojo , be sure to check out my Insta stories as I’ll be sharing my adventures over there and I’m thinking of doing Blogmas – so check back here each week for my weekly festive adventures too. Do tag me in your Festive adventures too – I love seeing them. 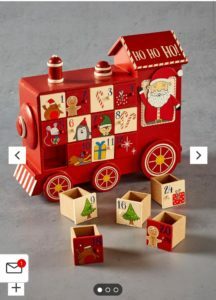 Who has their advent calender at the ready?. My mam always gets me a Dairy Milk one , and this year I also got this Christmas train one! From Saturday 1st December – I will be doing our annual 12 days of Christmas workouts. 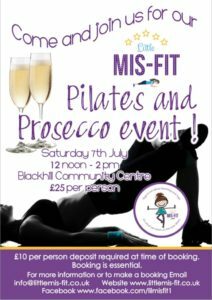 If you want to join in the fun, just send us an email – info@littlemis-fit.co.uk just with a little note saying you want to join in, and I’ll add you to the list . Then from 1st December you will receive a daily email for 12 days , with that days mini workout. 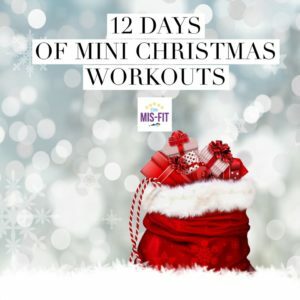 By Day 12 you will have a 12 minute workout that you can do over the festive season!. Who wants to join us for our December online classes ,? . just £10 per month and you will get access to our at home workouts , that you can do at home and fit around your schedule. Access is via a private Facebook group. Two new workouts added each week!. December class passes will be available from next week. I am away Saturday 1st December so no classes that day. I will also be away Friday 7th December so no Friday evening class that night. We will finish classes for Christmas on Saturday 22nd December, though Our last Tuesday evening class will be 11th December as the Community room closes for Christmas on the 12th December. On Saturday 8th and 15th December , There will be an additional Pilates class 8.15am-9am at Delves Lane village hall. This is our usual Small group Pilates session but for these two dates , The class will be open to any of you guys that would like to come along. please note classes will run subject to minimum numbers as I know it is a really busy time for everyone. our January Small group programmes are already sold out!!! . However I am looking at possibly doing a day time Small group programme aswell if interest is there. Currently looking at Monday 9.30am-1015am at Dance Max , Consett and Wednesday 9.15am-1030am at Annfield Plain Church. Please do let me know if you would be interested. £120 per person including nutrition guide and twice weekly group workout sessions. However sign up before Monday 26th November and receive a £10 discount. I may also run a second evening programme if we have more interest and if we can fit it in the timetable somehow. 1-1/ Private small Group training sessions. I have a couple of Daytime slots available also for 1-1 Pilates sessions or perhaps a small group if 2 or 3 of your friends/family members wish to do a session together. Please get in touch regarding pricing and availability. Wishing you all a brilliant Festive week and don’t forget those advent calenders! So Its almost Halloween and would it be Halloween week – if we didn’t do our annual Pumpkin Power workout??????? . Of course not! so grab a pumpkin and This Tuesday 30th October – our Barre class will become Pumpkin Power workout instead! 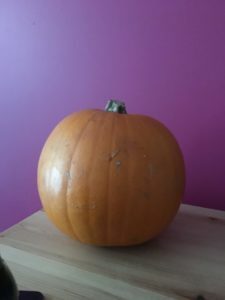 forget your weights – it will be all about the Pumpkin!. You can sign up for our November online classes now!. 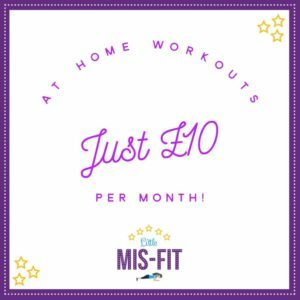 Just £10 per month, you will get access to a variety of workouts you can do, at home, at a time that suits you , maybe first thing on a morning or later at night , or somewhere in between. Two new workouts are added in each week. Just drop us a message to sign up, or for more information. From Saturday 17th November , we will have Festive Fit mas on a Saturday morning 9am-9.30am at Delves Lane Village Hall. This will be a HIIT style class – getting us in shape ready for the festive season. We will be mixing up Boxing style workous, aswell as weights and other cardio workouts and maybe even a Metafit sneaked in there too haha – I know you guys love those!!. I am also looking at doing a couple Festive Retro Robics classes in November and December – Dance based ones. So please let me know if you would be interested in these – It would probably be a Monday / Tuesday or Thursday just one offs in leui of the usual class. Our last after school yoga of 2018 , starts this Monday 29th October for 6 weeks. At Believe and Be. 4.15-5pm. £35 per child – suitable for kids age 4-8. To book your little Yogi in , just drop me a message. Our next Post Natal class for mam and baby, starts also Monday 29th October for 6 weeks. Mondays 1030-1115am @ Dance Max, Consett. £35 per mam/baby for the 6 weeks or pay as you go for £7 per session. I also offer 1-1 or Small group Pilates sessions at your home/Work place . From the end of November, I will have a little more availability to take on a couple more , so if you would be interested please do drop me a message for more information. Please do book for all classes – and please let me know if you can’t make it. 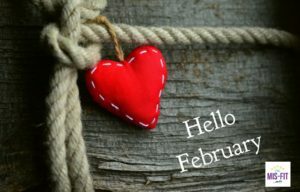 Right I feel I have said this so often this year , but honestly I can not believe another month is almost over!. I mean its October next week! – October ! . Though I admit , I do love Halloween month, I’ll will definitely be gong in the loft to get my Halloween décor out in the next week or so . I got some fab Halloween mugs last week from Tk MAX. – what about you guys? – do you decorate your home for Autumn/Halloween? . if you follow me on Instagram @littlemisfitjojo- I’m sure I’ll be doing some Insta stories on my autumn/Halloween décor. October at Little Mis-Fit we will see some timetable changes! . Injecting some new classes. We will be bringing Barre classes to the time table . 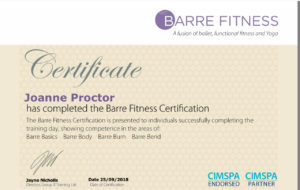 Barre is a combination of taking ballet moves and fusing them with pilates and yoga moves to help strengthen and tone the entire body and we can also make it a HIIT style workout too – welcome to Barre BURN!!. If any of you would like to get a pair of 1kg weights to bring along to these classes , to add in an extra challenge to the workout, then it would add an extra challenge. going to bring a boxing style class back on a Saturday morning , as we have been boxing past couple weeks and I know some of you miss it. We will also have a Small group training starting Mid October , which will take us to the end of November – right in time for Party season. Please let me know if you would be interested in a place. Pilates Small Group will also be back Mid October though this often sells out pretty quickly!. From January , I will also be looking at running some day time Small group sessions so please let me know if this would be something you would be interested in. these will be in addition to the evening sessions. We will also be doing a Halloween special Family Yoga class on Saturday 27th October!. Of Course Halloween fancy dress will be highly encouraged!. Mis- Fit Christmas party – I am looking at options, so will send a separate email and see what the preference is. We also have our online classes – just £10 per month. Access is via a private facebook group . two new workouts added each week – Hiit classes, Piit style, barre classes , pilates /yoga style. so a wide variety . The workouts can be done at home, at a time that suits you. Wishing you all a spooktacular October !! 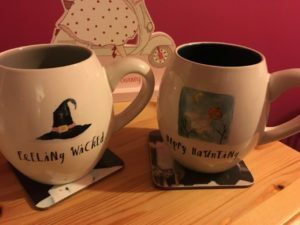 My new feeling Wicked and Happy Haunting mugs from TK Maxx!. 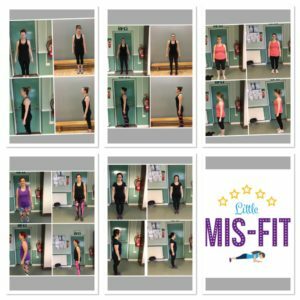 Little Mis-Fit’s Greatest Adventure yet ……. 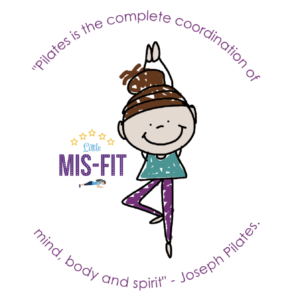 So this week, my little community fitness business – Little Mis-Fit turns 8 years old!!!. I look back 8 years ago , at the hopes and dreams I had when I set out on my journey and honestly can’t believe how fast the time has flown by, and how much my little dream has grown and become my reality . I had always loved Exercise. I started running in primary school – one of the teachers used to take a group of us out on a Friday lunch time. Throughout Secondry school, I was on the cross country team and I loved PE. Now I was on the Cross country team, -but honestly I was so not the best runner at all but what I did have was the determination to try and to keep trying. I would train with the team each lunch time, I went to running club on a Tuesday and Thursday night and just practiced and practiced. I just really enjoyed it and I got faster and fitter. 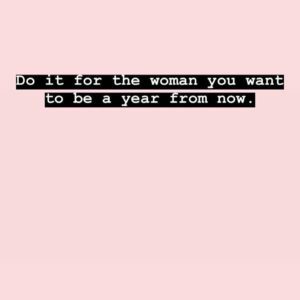 So when I left school the Career advice lady who came to school, suggested I may want to go into the fitness industry, at that time though I wanted to travel and sport was something I did because I enjoyed it , what if it was my job and I came to hate it??. so I became a travel agent!. In 1995, at the age of 16, I left school after my G.C.S.E’s to enroll on a YTS (youth training scheme ) as a trainee travel agent – I wanted to travel the world . I liked the job but there was just something inside that told me , this was not really what I was meant to do . I have travelled to some amazing places and even got to work in Las Vegas a couple of time so when I was in my early twenties which was pretty cool. After getting my Group fitness qualification – I set up a Class on a Monday night in a local church hall. Back then I think I was on Facebook but no clue really how to use it . In fact I didn’t really know much about running a business at all! . When I was 24 and saving for my first house, aswell as my travel job though , I worked as a Virgin Vie make up rep – so I would go round delivering parties selling make up – as a make up junkie this was actually a bit of another dream job too , getting to play with make up and being paid for it ha. Hmmm actually I wonder if Charlotte Tillbury or Mac would be interested in me doing a little side work for them …………………. . Anyhoo I digress but actually being a Virgin Vie rep I did learn a couple things about marketing and running a business so I was not totally clueless as I learned about keeping my accounts and a bit about marketing but there would be so much more to learn. I am truly truly grateful to each and everyone of you that has been part of the Mis-fit journey over the past 8 years – some of the people in that very first class, are still with me today and the same with my second class I set up a couple months later – they are also still with me. Without all you guys coming to classes and helping spread the word, Mis-Fit would not be what it is today. You guys inspire me to keep going , to keep teaching classes , to keep learning new things to increase my knowledge and keep classes fresh and fun. I love our little Mis-Fit community we have created , with friendships formed and the craic in the classes . 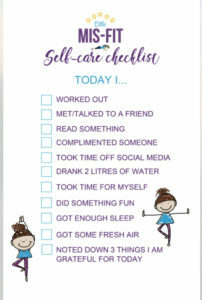 I can have had a really stressful day at the 9-5 and all I want to do when I finish is curl up on the settee and watch netflix, but I know the minute I stand up in class and start teaching you all , sharing in the banter , laughing , Its the perfect medicine and I love that I know its the same for you guys too. You can have loads going on at home/work but you show up for class for some You time and we help you feel better too. Huge thank you aswell to my mam, dad and sister who are my constant cheerleaders, cheering me on and supporting me and my friends who do the same and who understand when I can’t always play out because my working hours are so different to theirs but they are always there. My Big goal was always to aim to make Little Mis-Fit my full time job. As I got more Qualifications and grew my classes , I was able to reduce my days at my travel job from 5 days to 3 days and last December I actually dropped down to 2 days. 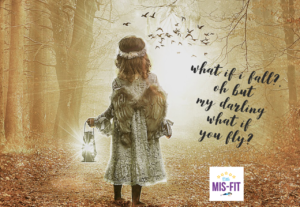 However having returned from Holiday this Summer and having talked about it forever and with the support of my family and friends all cheering me on , I made the huge decision to take a leap of faith and take Mis-Fit full time – eeekkkkkkk!. S*#t just got real people!!!!!!!. 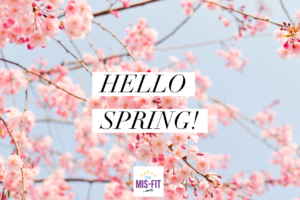 So from December 2018 – Mis-Fit is full time!!!! . 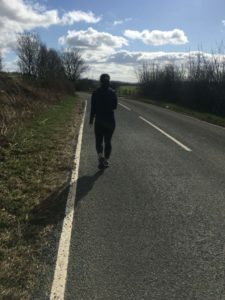 Maybe it will work out , maybe it won’t – that determination I had when I was starting out running , that has always stayed with me and I have every determination to try and make this succeed too -Either way I have to at least try – after all the magic happens when you step outsode your comfort zone! . I believe at least trying , will be Little Mis-Fit’s greatest adventure yet!. Time now for Cake and Prosecco!!!!!!!!!! 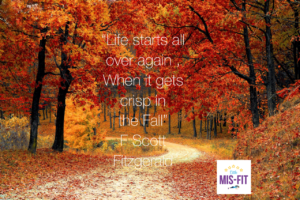 Welcome to September at Little Mis-Fit! . 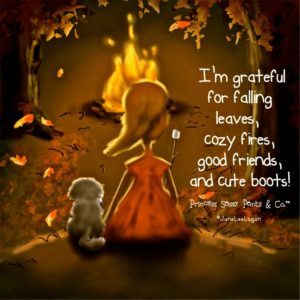 I do love Autumn time – it always feels a little magical. 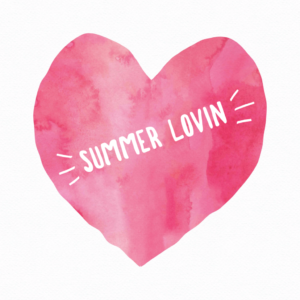 This year in particular , there are some changes afoot at Little MisFit HQ, exciting ones but also a little scary eek! . I’ll be keeping you all updated though. £25 per person with £5 from each ticket going toward Macmillan cancer support. Looking ahead to Autumn/ winter classes – are there any classes you wish to see back on the timetable? . in Addition to our Pilates classes, I will also be introducing Barre classes by the end of the year! . Barre is a combination of ballet, yoga and Pilates moves to help tone and strengthen the entire body. Would anyone like the 80’s style Christmas aerobics classes back for Christmas too? . 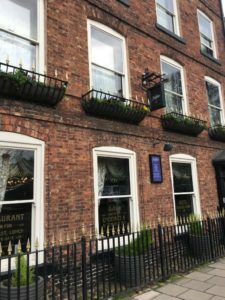 Guys looking at a christmas party for us this year – Beamish hall have a 80’s themed party on Friday 14th December -£36.95 per person including a 3 course meal and 80’s music – would any of you be interested in this? Our Timetable for September is looking like this . Pilates for mums and Tots 1030am-1115am @ Dance Max, Consett £35 for the 6 week block or £7 pay as you go. After School Yoga @ Believe and Be for kids age 4- 9 , 4.15pm-5pm £25 for a 4 week block, or £35 for a 6 week block.